[Here are the latest results for all the primary races in New York.] The race was called about 30 minutes after the polls closed, with Mr. Cuomo receiving the results with his staff in Albany. 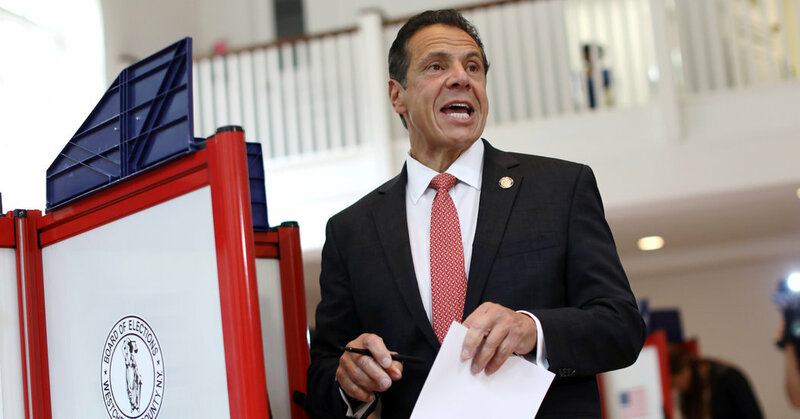 The undercard races for attorney general and lieutenant governor, where insurgents allied with Ms. Nixon challenged loyalists to Mr. Cuomo, were still being tallied. In November, Mr. Cuomo, 60, will seek to match the three terms that his father, Mario M. Cuomo, achieved as governor. Mr. Cuomo himself had sought to mostly ignore Ms. Nixon in recent months, focusing repeatedly on President Trump.